The Reno Arch in the 1990s, with Fitzgeralds on the right and the demolished Harold's Club barely visible on the left. Source Caption: Isern Comas, Jose P.,, photographer. "The Biggest Little City in the World". 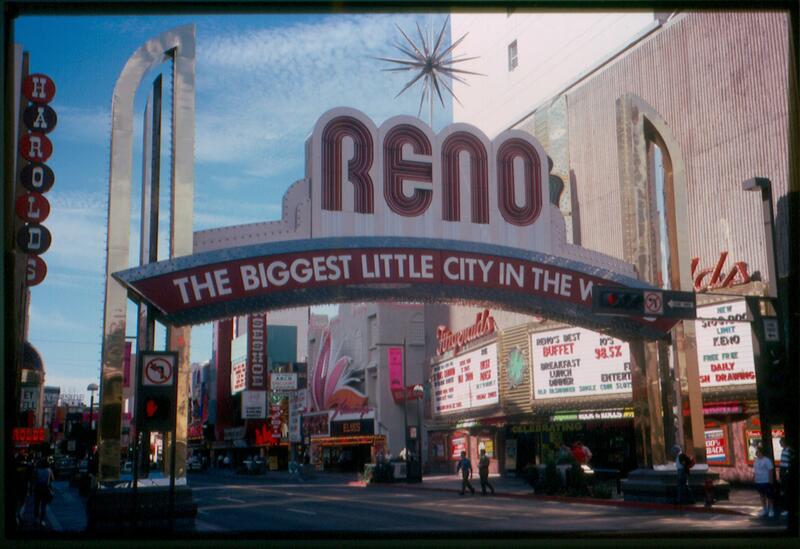 Reno, Nevada - August 1, 1993. 1 slide: color.